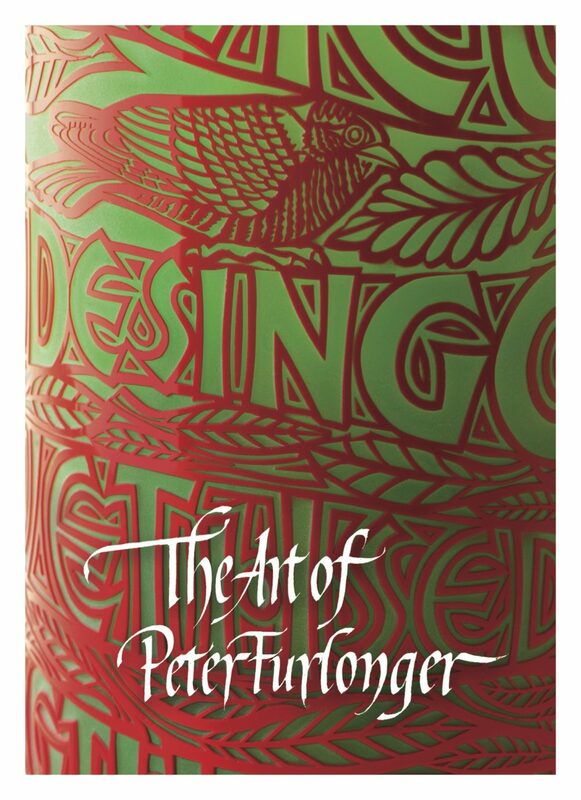 Tamzin project managed a fine art book about the work of artist Peter Furlonger. Drawing in Space: The Art of Peter Furlonger is a vibrant survey of an artist’s extraordinarily varied oeuvre. 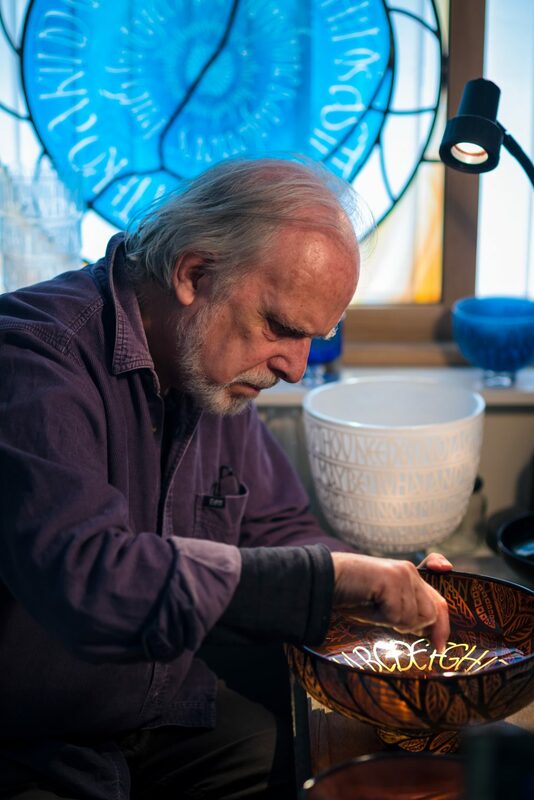 The book is devoted to showcasing his multi-displinary work with studio glass and stone in addition to his designs for screen-prints and stained glass. The essay written by Tamzin for Drawing in Space was based on interviews with the Northumbrian-based artist and explores how Peter developed the practice of calligraphic glass by engraving complex letter-textures, to highly sculptural effect. Peter’s meditative and poetic approach to his work has evolved over 25 years and is reflected by the essay, which considers how he has unified two distinct elements: letterform and abstraction. Tamzin was subsequently commissioned to write a long-form essay about Peter’s work for the US fine art publication Letter Arts Review Vol.30. Peter’s work is held by the V&A, London and the National Museum of Scotland. He was commissioned by Julia Darling to design and carve the headstone for her resting place.